Located at the heart of the Central Business District in Perth, the 252room ibis Styles East Perth has the best shopping and dining options of East Perth at its doorstep. It also provides access to WACA, Optus Stadium, Casino and public transportation. The hotel features a playful and colourful design for its lobby, restaurant and bar, while the rooms blend comfort, connectivity and style. 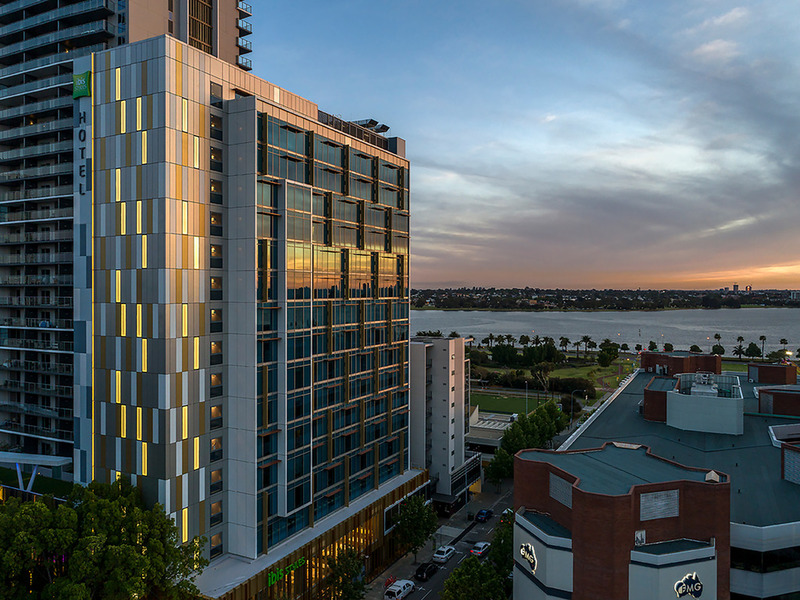 Located at the heart of the Perth Central Business District, the 252room ibis Styles East Perth features views of Swan River and Langley Park. "Free WiFi is available for all guests. Feel welcome with our warm and modern accommodation. The hotel features bright, bold colours and a cheeky design with personality that pops. Rooms on the upper floors feature views of the magnificant Swan River. The hotel is perfect for any getaway. The hotel is provides you with everything you need for a comfortable night's stay. Warm, welcoming and modern, with a comfortable bed and a practical bathroom, our rooms offer everything you need for an enjoyable stay. Indulge yourself with a good night's sleep in our ibis signature 'Sweet Bed'. ibis Grill offers continental and full buffet breakfast options as well as an à la carte dinner in an informal dining environment. Our Executive Chef focuses on creating simple dishes using fresh, seasonal produce. Children's menu is available. The ibis Styles East Perth Bar offers simple internationally inspired dishes using fresh and seasonal produce.